Tremendous forces are influencing the world of work. Recessionary business environments coupled with increased Globalization, increased Customer demand, disruptions through new Business models, unknown Customer profiles and Competition from the most unexpected parts of the world coupled with increased expectation and scarcity of Talent. Organisations need to work with Agility and have the ability to adapt and manage change on the fly – as the situation demands. In this volatile, uncertain, complex and ambiguous terrain, the solutions and decisions of the past don’t apply to the present or the future. This unpredictable terrain is posing a significant challenge to the kind of Leadership and the Leadership model that can enable the organisation to deliver Performance. The ‘Leader as Hero Model’ or the ‘Leadership Team Mode’ are clearly inadequate as we need to populate Leadership with diverse personalities that can work together to make changes and lead organisations to avoid problems that have made previous structures redundant. Organisations need new direction, less consensus, more emphasis on Diversity, dissent and multiplicity of perspectives on a problem. In the current volatile business environment, there may be a tendency within some organisations to lapse back into Heroic Leadership but team oriented Inclusive Leadership from across levels is more likely to serve organisations better as it has the power to integrate ground level insights from foot soldiers more often cordoned off and lost across structures and levels. Leader as Hero was the most celebrated style of leadership in the 1980s right through till early 2001. The ‘Leader as Hero’ philosophy presumed that the Leader would free the organisation of past bureaucratic mindsets and take it by the scruff of its neck to propel it into modernisation and competitiveness. Jack Welch at General Electric, John Brown of British Petroleum were movers and shakers who moved old organisations weighed down by old committees, systems and processes to become the lighthouse for enabling a new standard of performance. The spotlight was also caught on similarly powerful entrepreneurs like Richard Branson, Bill Gates and the irrepressible Steve Jobs who made defining contributions, transforming lives across the world! Around the turn of the century this ‘Leader as Hero’ theory was severely criticised by academicians and management Thought Leaders. The dotcom bust and the ensuring downturn revealed the derailing flaws, failure and disgraceful conduct of several individual leaders. As thinking moved forward from the ‘Leader as Hero’ model, the concept of ‘Leadership Teams’ replaced it. While not a new idea, the model emanated from the theory that a variety of management styles work into one cohesive group. The balanced Team became the ideal and the most successful Leaders were considered conductors of an orchestra. One of the other factors influencing the ‘Band of Brothers’ concept was that the Demography of Talent had changed and a new generation had started moving into leadership roles. This demographic had shaped their attitudes in the 1960s were far less hierarchical, less schooled in the military and more collaborative by inclination than the generation before them. We now face another transition with our current disastrous financial and economic crisis that shakes our confidence in the Leadership Team model. Organisations that were until recently seen as Champions have emerged as shallow, self-serving monsters. The Leadership teams it appears were busy attending to their bonus and corporate jets instead of paying attention to impending risks. Banks, regulators, boards, all got it horribly wrong and we are all paying the price! The Band of Brothers and their self-serving greed spiraled into a systemic catastrophe and only then became clear how cavalier with rules, how thoroughly oriented towards winning at all costs they had been only because they had each others’ support. Changes in Societies, Markets, Customers and Technology are forcing organisations to clarify values, develop new strategies and learn new ways of operating – mobilizing people to do adaptive work which forms the core of Adaptive Leadership. Adaptive work is required when our deepest values and beliefs — those that made us successful in the past are challenged. Mobilizing businesses to adapt behaviors to survive in the new business environment is critical. Yet providing this kind of Leadership and not just authoritative and directional solutions is extremely difficult. The tendency to offer solutions or direction is natural because most Leaders have reached positions of authority by virtue of their Technical/ Functional expertise and taking responsibility of problem solving. Traditional Problem Solving is not adequate in the current business environment as it can at best restore past standards of performance –not necessarily provide Generative Solutions to reach new standards of performance which are so necessary in the new business environment. The locus of responsibilities when a company faces adaptive challenges must shift to its people. Solutions to adaptive challenges do ‘not’ reside in the Executive Suite alone – it is available in the ‘collective intelligence of employees across levels’. The C-Suite has a very different role to play in the VUCA world – Leaders need to ask tough questions rather than pretending they have the solutions and answers to all questions. Instead of orienting people to current roles, Leaders need to re-orient Teams to develop new relationships and draw out issues instead of quelling Conflict, Challenge the way we do business and help teams distinguish immutable values from historical practices. Adaptive leadership styles will invariably count on Leadership and proactivity to be demonstrated at all levels. That is in fact, the only way an organisation will survive as it battles new disruptions and challenges, many of which the C-suite have not witnessed during their own professional tenures. Seeking right answers at the top and remaining aligned in chorus will not work. Organisations need Jazz Musicians who can complement each other’s strengths and navigate new notes through their improvisation strengths. 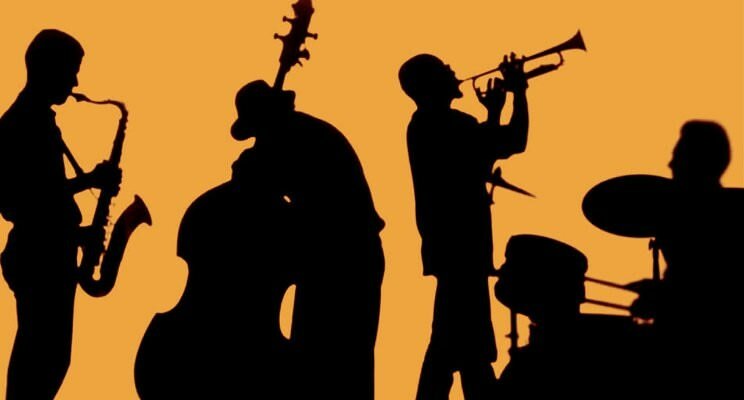 Much like the Leader of a jazz band, Adaptive Leadership requires leaders to pass the baton of leadership to whoever picks the rhythm best, joins in the music with humility and appreciates the fact that performances in the current environment will be live with no pre-set time for extensive rehearsals! With each one taking the lead- as required, leveraging calculated strengths, individual prowess unleashing their collective brilliance across levels! Adaptive leadership to manage change with agility requires a series of practices that can make interventions more effective. Step 1- Get on the Balcony – To observe what is going on and where the strengths and solutions may lie across the organisation, watch for patterns and get information from the ground level to test your hypothesis. Step 2: Determine the Ripeness of the issue: How resilient are people to tackle the issue? Is the urgency localised in a sub-group and not yet widespread across the larger organisation? Is there a tendency to treat the situation as a problem rather than an adaptive challenge? Step 3: Who am I in this picture? How are you experienced by various groups in the change process? Consistency has high value in management but is a significant constraint in leading adaptive change. Step 4: Think Hard about your Framing: Thoughtful framing of communication is the key! Some people need data before emotions whereas others connectyour language and espoused values and purpose. Language and vocabulary is key in driving adaptive behaviours. Step 5: Hold Steady: When you have made an intervention, think of it as having a life of its own. Don’t overinvest in it, and think of it as only ‘yours’. Holding steady is a poised and listening response. Step 6: Analyse the Factions that begin to Emerge: As people in your own close-knit group begin to discuss the intervention, pay attention to the faction groups – do faction mapping to help the adapting process and even refine the intervention. Step 7: Keep the work at the centre of People’s attention: Avoiding adaptive work is a common human response to the prospect of loss. Avoidance is not shameful, it’s human. Resistance will have less to do with merits of the idea and more to do with fear of loss. Dealing with the fears of a loss requires a strategy that takes these losses seriously and treats them with respect. What is important is to keep the work of adaptive change at centre stage. Alice Eagly and Linda Carli in their seminal article, “Women and the Labyrinth of Leadership” describe communal behaviors of kindness, compassion and empathy expected from Women Leaders and behaviours of power, control and assertiveness described as agentic behavior in/from Male Leaders. Interestingly, the current times are a test of both agentic and communal behaviours from each Leader, whether male or female, and the ability to situationally be more emphatic, compassionate, decisive and assertive when needed. This is no time to play gender roles but is in fact a good time to explore the power of the diversity of talent – gender, demographic and varieties of experiences and exposures across levels — because solutions will be agnostic in this fast changing, unpredictable terrain. In terms of behaviours, VUCA is an acronym of desired behaviors and strengths across levels. V: is for Vision to formulate new strategy that is generative and not an incremental change in the past. The ability to charter new territories, find new solutions and build a generative and purposeful organisation. U is for understanding, empathy to understand pain points, challenges, to support teams as they bravely charter new terrains and battle new challenges including failure. C is for Change with agility and has the humility to discard old practices and legacy beliefs that are redundant. Building change as a competence and enabling power to be shared is going to be important and winning leadership behaviour. A is for Appreciation – rooted in positive psychology that enables people to reach new heights by believing in and giving opportunity to new thoughts and new talent. This sort of leadership can catalyse change, mobilise commitment and can complement structural and process changes. As we rebuild our economy, heroic leadership or top C-Suites will not do. Leadership that shares power, includes diversity and provides psychological safety for dissent is the soil that will grow Leaders at all Levels!